Summary: If archaeology and prophecy have proven the Bible to be true, then why is it a point of so much controversy? Many people question whether the Bible can be trusted. In fact, in today's society, the Bible has become to be seen as a book of fables, and only one perspective out of many. Many people no longer revere the Bible or take a Bible verse to heart when they hear it. The Bible has become on par with any other holy book from any other religion—a book of good principles to follow, but not the standard or guide by which people should live. Before any meaningful discussion can be had about salvation, God, the apocalypse, heaven, or any other belief, we need to determine the veracity of the Bible. Only those who accept the Bible as true can appreciate and understand what the Bible has to say about any topic. Without that fundamental understanding, any discussion is moot. It is possible to verify the authenticity of the Bible. 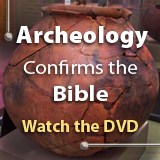 The field of archaeology has done much to prove the Bible's record true. Also, as we study some of the prophecies of the Bible, we can determine the truthfulness of the Bible by the fulfillment of those prophecies. The Bible itself declares itself inspired. It comprises 66 books written by 44 different authors over a span of 1500 years. These authors, from many walks of life, and of varying degrees of education and nobility, most of whom never knew each other or lived within each other's lifespan, were only able to write so cohesively through God's inspiration. An objective view of the Bible can show us that, indeed, the Bible's composition is unique and inspired.